The 10 Best Corn Mazes in Colorado! One of the best ways to celebrate the arrival of fall is by getting lost in a corn maze. The corn mazes of Colorado feature intricate designs and exciting themes that change year to year. Explore the miles of space or enjoy a haunted version at these 10 awesome corn mazes in the state! Anderson Farms is home to Colorado’s longest-running corn maze and pumpkin patch. Head to this Erie farm in late September to not only explore the corn maze but also enjoy tractor rides, pedal karts, farm animals and other fun farm activities. The corn maze here spans 25 acres and is typically divided into four sections. This corn maze will give you a fright too, known as Terror in the Corn. There is also a smaller maze here for children two to eight years-old. Get lost in a 20-acre corn maze at Fritzler’s Corn Maze in LaSalle, which is only seven miles south of Greeley. With lots of twists and turns, this maze is a fun challenge for the whole family. While visiting Fritzler’s, also explore the pumpkin patch and take a ride in the go-carts. Chatfield Farms is a popular destination during the fall because of its eight-acre corn maze and its annual harvest festival. There is even a mini maze for kids 10 and under. However visiting during the evening to enjoy the “Glow Maze,” which is complete with glow sticks and black lights. To get a view of the maze from above, don’t forget to walk on the 15-foot tall bridges above the maze. The oldest corn maze in Fremont County is found at Diana’s Pumpkin Patch and Corn Maze. This eight-acre maze typically takes guests 45 minutes to complete. After you conquer this fun corn maze, take home a pumpkin from this family-owned farm. Diana’s Pumpkin Patch has the largest selection of heirloom and specialty gourds and pumpkins in the area. Enjoy family-friendly fall fun at Mazzotti Farms, which has been family owned and operated since 1982. The corn maze isn’t the only attraction drawing happy families here. There is also a petting zoo, pumpkin patch, giant slide and other farm activities open to the public every autumn. Admission is free at this four-acre corn maze. Unlike other corn mazes on this list, this corn maze is cut by hand, not tractor. Therefore expect narrower pathways for a more personal experience. Kids will also love the straw bale maze here too. Rock Creek Farm has become one of the most popular fall destinations for Colorado families. Enjoy four different corn mazes, all varying in length, but in total span miles of maze over 30 acres. As if this farm wasn’t impressive enough, there is a 100-acre you-pick pumpkin patch, so you’re sure to find the perfect pumpkin here. Don’t forget to play in the hay bale maze, and visit with the farm animals at Rock Creek Farm. There are three corn mazes found at Studt’s Pumpkin Patch and Corn Maze, so there is sure to be a maze for everyone. Kids will have fun playing in the Kidz Maze. And for those looking for a scare, Dark Acres Haunted Corn Maze is sure to make your fall season spooky. Along with the corn mazes, Studt’s also features hayrides, pony rides, a petting zoo and other fun attractions. Harvest Farm is home to one of the largest corn mazes in Colorado. Come on weekends from late September through late October to enjoy this 10-acre corn maze. Visitors to the farm during the fall also gain access to the petting zoo, hay rides, pumpkin patch and a variety of other fall farm entertainment options. 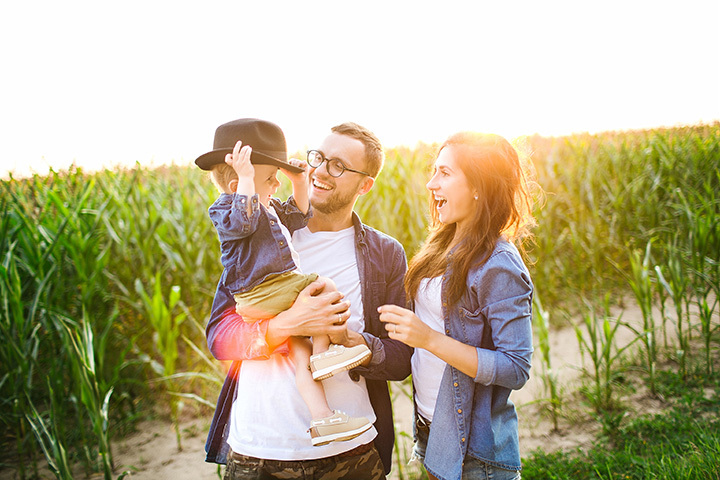 Families with young children will love visiting Miller Farms. Pick your own vegetables, explore the small corn maze, or take a hayride through 180 acres of fields during the fall season. View more Colorado Corn Mazes.